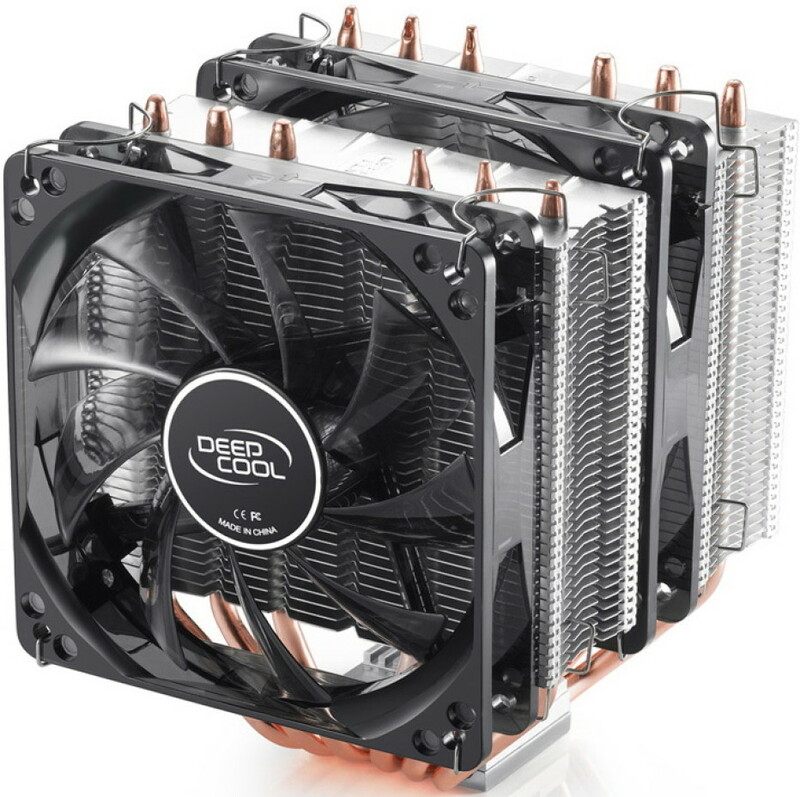 The Chinese maker of power supply units and coolers Deepcool Industries Co. Ltd. has announced the new NEPTWIN V2 CPU cooler that comes now to us to replace the NEPTWIN cooler that was launched about three years ago. The new cooler measures 125 x 136 x 159 mm and weighs 1109 grams. It comes with a nickel-plated copper base that includes six copper heat pipes that go through a massive heat sink that consists of 80 aluminum fins. Thanks to its tower design and interesting structure the NEPTWIN V2 CPU cooler can accommodate up to four cooling fans with the base model offering two 120 mm Deepcool Wind Blade 120 cooling fans. The first fan features blue LED backlights and spins at 900-1500 rpm, while making noise that sits at 21.4-32.1 dB. The second fan spins at 1300 rpm only. This fan configuration pushes between 65.2 – 139.6 cubic feet of air per minute at 30-40 dB of noise and due to this performance the NEPTWIN V2 CPU cooler can effectively cool processors with TDP of up to 160 watts. The new NEPTWIN V2 CPU cooler is compatible with all modern AMD and Intel processors. The device sells for about USD 60 and this price also gets you some high quality Deepcool Z9 thermal paste.